Last week I turned the page on another year. Here is the cake to prove it. 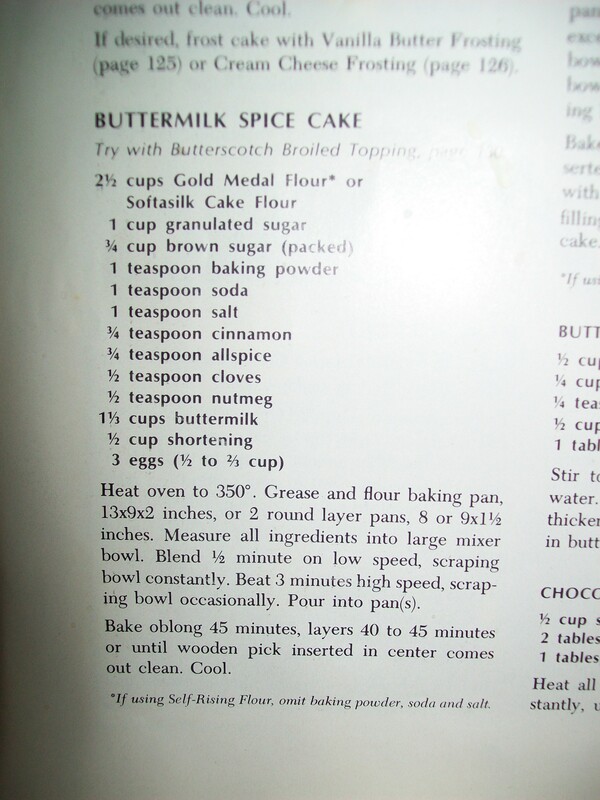 Buttermilk Spice Cake is very easy to make. 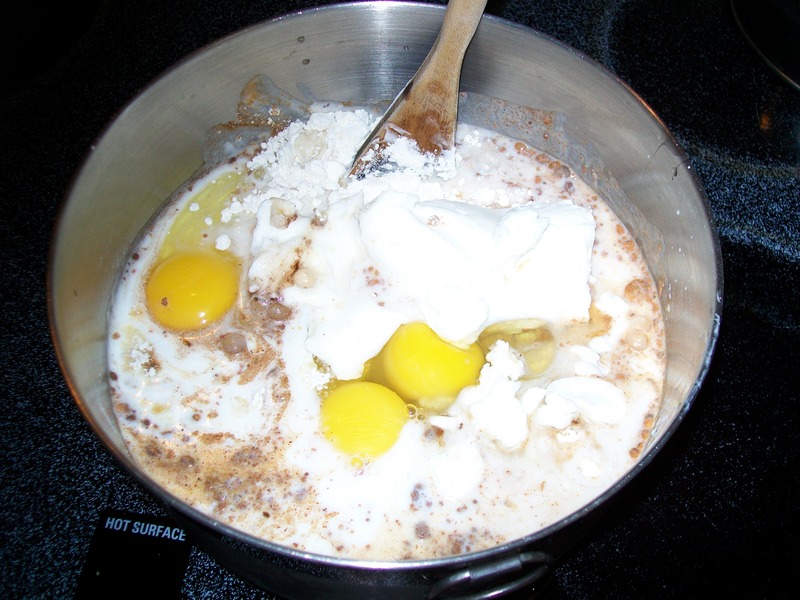 Just dump all ingredients into a bowl, then mix to combine. I used an immersion blender instead of a stand or hand-held mixer. It worked fine with a whip attachment. Though I did have a Bass-o-Matic moment when I turned the thing on and wasn’t grasping the bowl. It slid radpidly to the edge of the sink but all turned out well. The last photo is dark, not the cake. 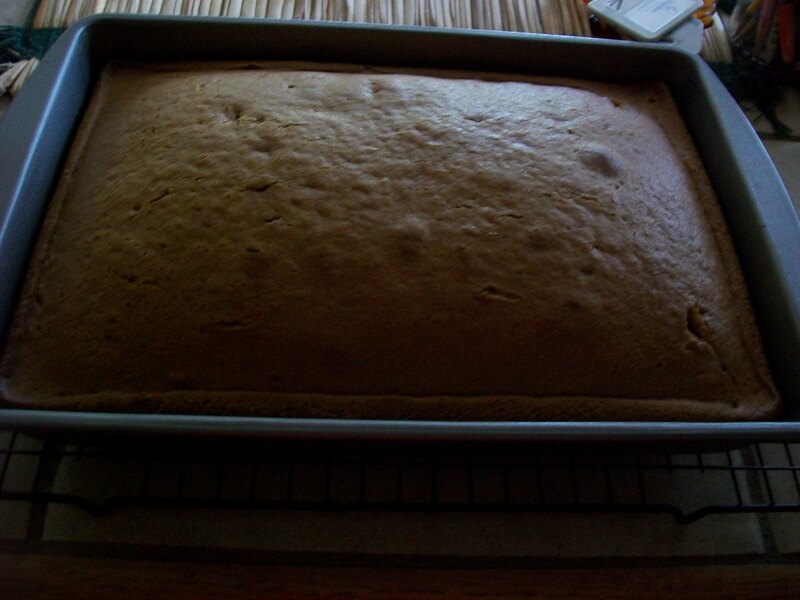 When done it is a light golden brown. 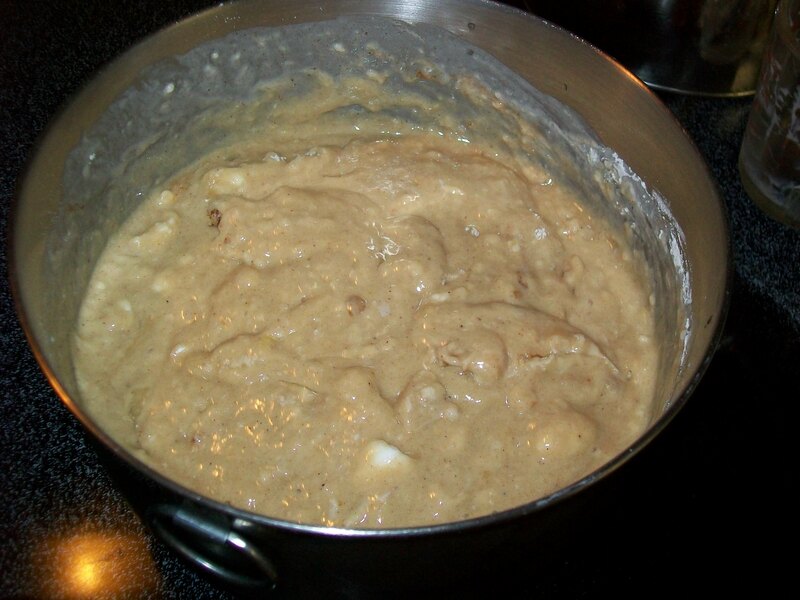 I added about 1/2 teaspoon ground ginger and 1 1/2 teaspoons vanilla. Frosting isn’t necessary. Serve with whipped topping and vanilla ice cream. Looks terrific! And happy birthday once more! 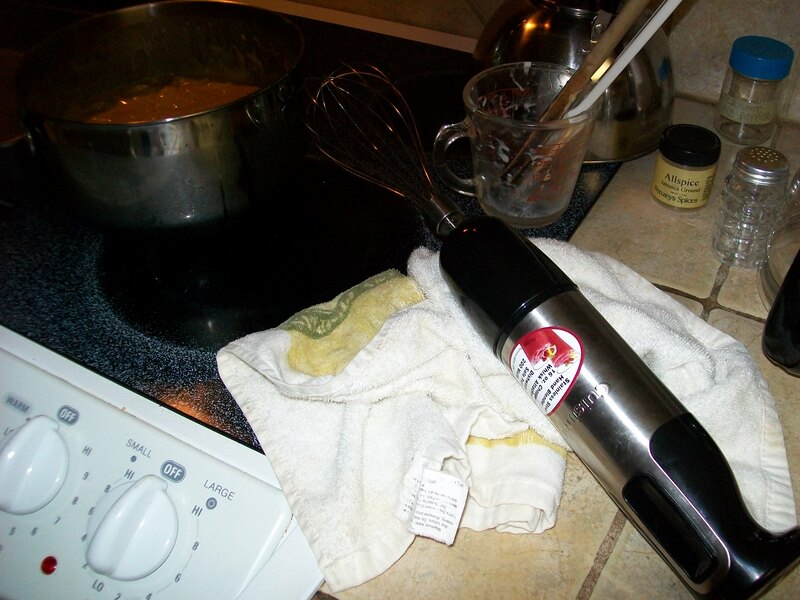 btw, I have never thought to use the whisk attachment … I should! Thanks! Another year and still here. 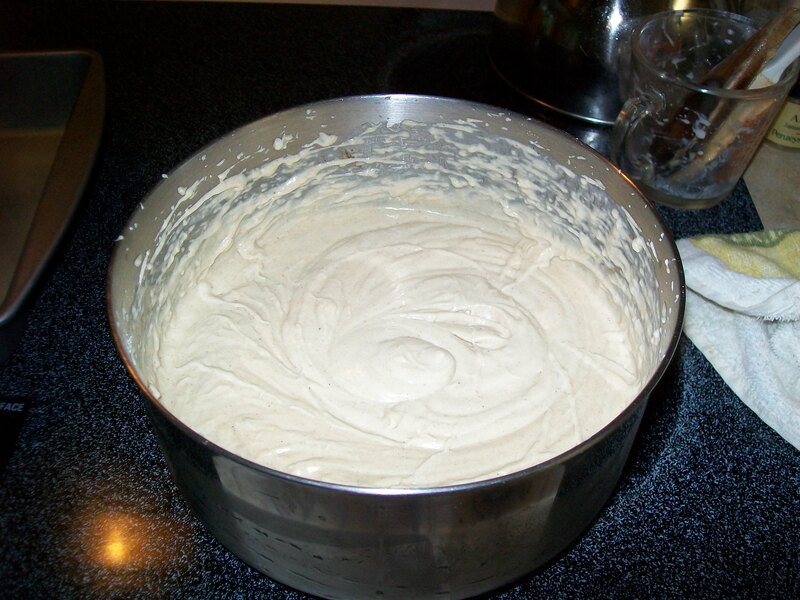 I hadn’t thought about using the immersion blender for mixing cake batter, until I considered how I was going to drag the Kitchenaid stand mixer out of the cabinet by myself, otherwise wait for Mr. Mike to come home from work.